There’s a song that goes “you ain’t seen nothin’ ’til you’re down on a muffin,” and while I doubt very much that Steven Tyler was singing about pastries, we’ll just go ahead and “dream on” today. July 11 is National Blueberry Muffin Day! Muffins are semi-sweet cakes or quick breads that are baked in individual portion sizes. Today’s “American style” muffins are made without yeast and have been popular since the end of the 18th century, but “English” muffins – made with yeast – date back much further, to the 10th or 11th century, where they originated in Wales and were cooked on a griddle. Muffin rings were used to shape English muffins, while muffin tins are used as molds to shape American-style muffins. Cupcakes, which are like muffins’ sweeter cousin, appeared soon after, around 1828. Blueberries are one of the most common muffin ingredients; their juicy tartness is the perfect foil for the sweet muffin batter. Plus, they’re tiny enough to fit easily inside an individual muffin. Try sticking an apple or a pear in a muffin – ha! Bet’cha can’t do it. Blueberries are rich in vitamins and antioxidants, low in calories, and taste friggin’ delicious, too. 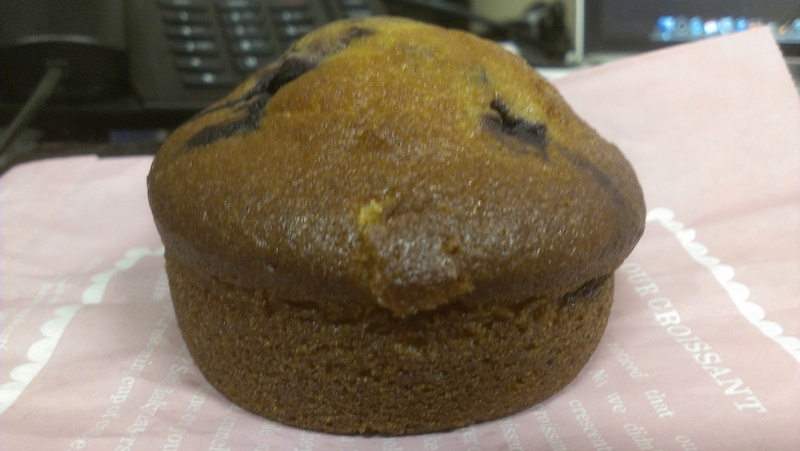 Minnesota knows: they made the blueberry muffin their official state muffin in 1988, leaving Massachusetts to grumble over their choice, the corn muffin. (“What were we thinking?!”). They can still pahk the cah and grab some blueberry muffins from the corner Piggly Wiggly, I’m sure. Which is exactly what we did. Only there are no Piggly Wigglys out here, but there are coffee shops galore. Starbucks it was!